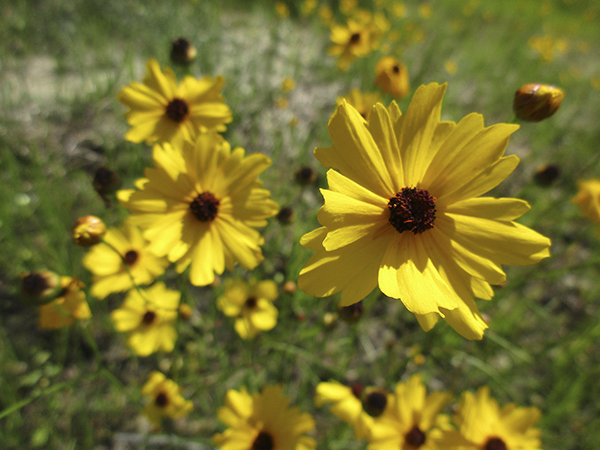 Wednesday's Wildflower: Tickseed, Coreopsis spp. Although the orange blossom, Citra sinensis, was named our state flower in 1909, the legislature designated the genus Coreopsis as our state wildflower in 1991. According to the Netstate, the story began in 1963 as the Florida Department of Transportation (FDOT) finished a project near Tallahassee that required sod. The sod field had previously been a pasture planted in red clover—a winter forage for cattle. When the clover blossomed in the new grass, people complimented FDOT for their “highway beautification.” That praise inspired FDOT to plant native wildflowers along Florida’s highways. 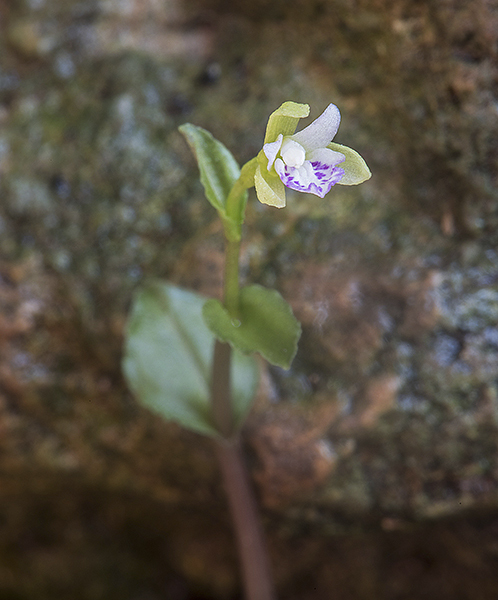 The fragile, succulent stem of this native orchid averages 1"–2" tall with 1–4 broadly ovate, 3/8" leaves that are dark green above and purple below. Flowers are about 3/16" wide and last only 2 hours in the morning. 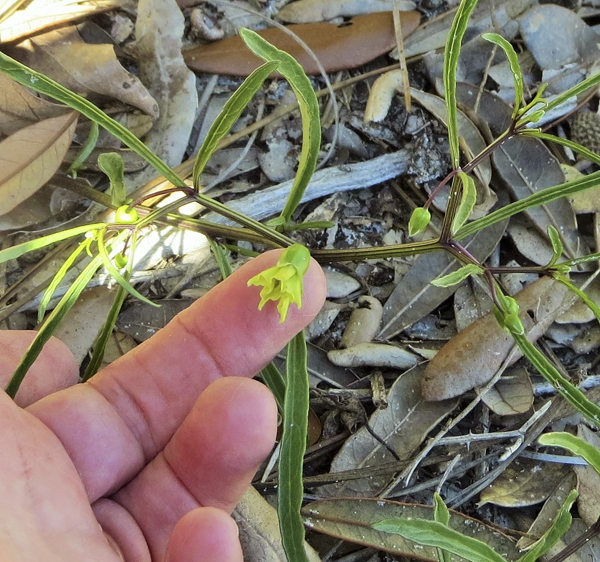 Plants often produce 2 buds that open a week apart. What this means is that you need to be standing in front of plants in bud during June and July at about 10:00 o’clock in the morning and, if you’re lucky, a flower will open. A clue to a bud opening is it stands straight up the day before if opens. Otherwise the buds are nodding. If you miss it, you’ll have one more chance the following week. If you miss that chance, then you’ll have to wait another year. I spent my first winter on the Intercoastal Waterway at Big Lagoon in Escambia County getting to know some of the plants in this scrub dune habitat. I spotted one plant I couldn't identify. Then, in April, while searching the internet to identify some tracks I’d found in the sand, I came across a list of plants that beach mice depend on for food. I’d recently spotted one of them, the Coastal Groundcherry, Physalis angustifolia (narrow-leaved). In this harsh, coastal environment, where I tower over many mature runner oaks, Coastal Groundcherry hugs the ground. Just the right height for a tiny beach mouse. According to the Atlas of Florida Plants, there are ten native species of Physalis growing in Florida. While Coastal Groundcherry seems to prefer Gulf Coast counties, at least one species of Physalis can be found in most Florida counties. Plants under a foot high are very useful in the urban garden. You can avoid mulch if there are enough small plants to outcompete the weeds. 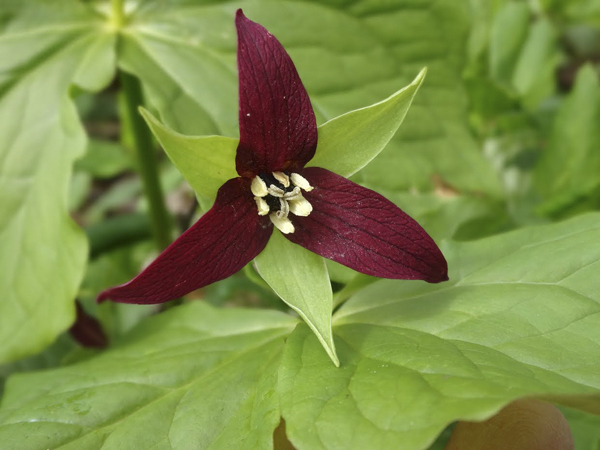 Short native species may be the most interesting in a landscape because they are underutilized and seldom seen. 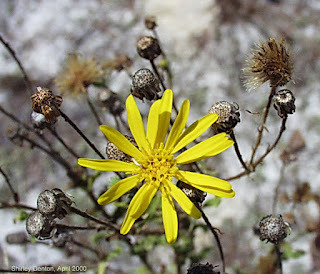 All of the species below prefer full sun and are native to Broward County. Let's jump right into looking at a few species for drier soils and then a few more for average-moisture soils. Submitted by Jean Evoy, a 30-year veteran of FNPS. She has been active in several chapters including Miami-Dade, Serenoa, and Mangrove. Every spring I anxiously await the first sign of buttonbush blossoms. Buttonbush, Cephalanthus occidentalis, thrives in swamps, sloughs, marshes and along the edges of ponds and lakes throughout most of North American and the West Indies. Even though the flower heads don’t look anything like modern buttons, their pincushion-like structures make buttonbush an interesting and attractive addition to our Florida landscape. Seeing Old Friends for the Very First Time Submitted by Devon Higginbotham, Indigo Travel Company I remember visiting the Appalachians for the first time. It was 1971 and with my new driver’s license firmly in hand, I accepted an invite from my older sister and her girlfriend, Francie, to go camping in Vogel State Park in north Georgia.